Chris Bratt of YouTube channel People Make Games has published an interesting video, which takes a look at the birth of Rockstar’s popular Red Dead franchise that initially began as a Capcom project. Before being acquired and renamed Rockstar San Diego, developer Angel Studios was tasked with making a game called SWAT in which players controlled a SWAT team. Capcom executive Yoshiki Okamoto decided to change direction after watching a Western movie starring Ringo Starr. As a result, Red Dead was born. Bratt interviewed Red Dead Revolver developer, Dominic Craig, who described the original game as something in between Sega’s Panzer Dragoon and “really bad Japanese action games.” The project was a bit of a mess, eventually leading Capcom to cancel it in 2003. Rockstar had a little more faith and decided to rescue the game, however. After acquiring rights, the developer allowed its San Diego team to continue work on the project, which released in 2004 as Red Dead Revolver. The video above is a little over twelve minutes and worth watching, so make sure to check it out. 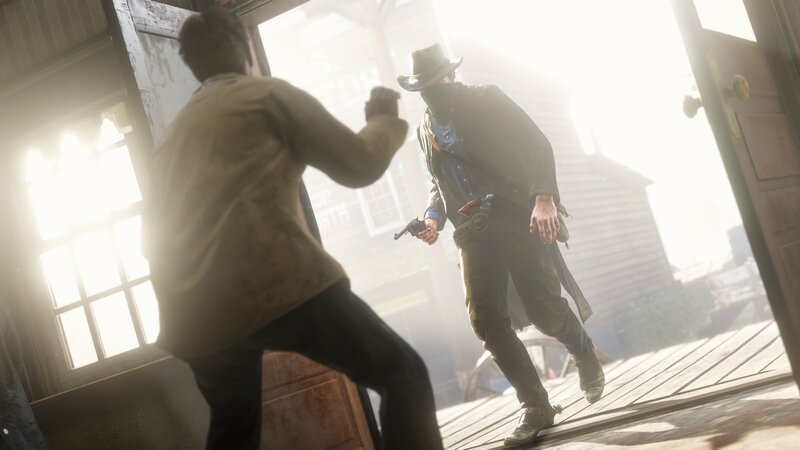 Rockstar’s highly-anticipated Red Dead Redemption 2 will release on October 26, 2018 for the PlayStation 4 and Xbox One. For more on the upcoming release, check out our recent coverage.